The IRWF and Casa Argentina have launched the ”Wallenberg at School” educational program in Israel. The same consists of a series of lectures about Raoul Wallenberg by Eli Yossef, a well known Israeli educator who specializes in the life and legacy of the Swedish hero. 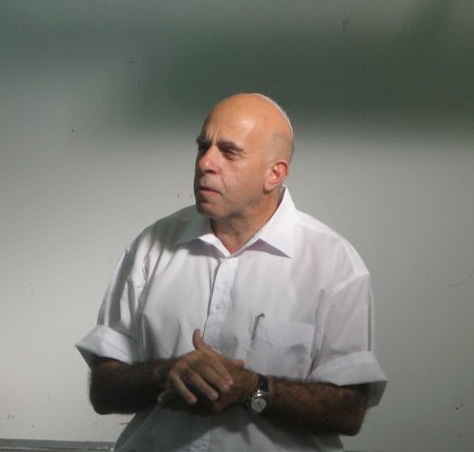 During October-November, Eli Yossef gave lectures in several Israeli high-school schools and Yeshivas. 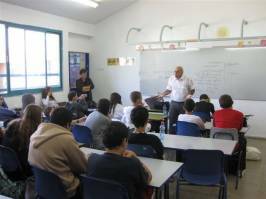 In November only, he appeared before 18 years old students of the renown ”Machon Meir” (the largest and most prominent Zionist Yeshiva) and before nine graders of the Herzliya prestigious ”Smadar” Junior High School. The main theme of Mr. Yossef’s lecture before mesmerized audiences deals with Raoul Wallenberg the man, his titanic feats to save Jews and his own personal plight after being abducted by the Soviets, never to be seen again. In his moving address to the student, Eli Yossef pointed-out that: ”Raoul Wallenberg managed to turn tears into power….his major weapons were his love for human beings, his empathy and imagination”…”We should all use these human features in order to keep his legacy alive”. This educational initiative will continue with full force with the intention to reach a great number of Israeli pupils and students. Joint cooperations is been forged with other factors such as the Israeli Hela group which is located in the city of Be’er Sheva.